What do we have here? It is a kobold lair !!!! but that would really be an understatement. You can see a pile of treasure in the biggest chamber, it belongs to a dragon. Due to the size of the cave and the size of the treasure, this is a young or recently adult dragon. It is becoming ever more powerful and the kobolds revere him and obey his commands. The dragon’s presence is best kept secret to surprise players. Kobolds are growing in numbers lately and the local town needs something done about that. The kobolds are stealing cattle and pillaging towns and travelers, all in the name of the dragon, but no one knows about it yet. Let the adventurers track the kobolds back to their lair and find out who their patron is. 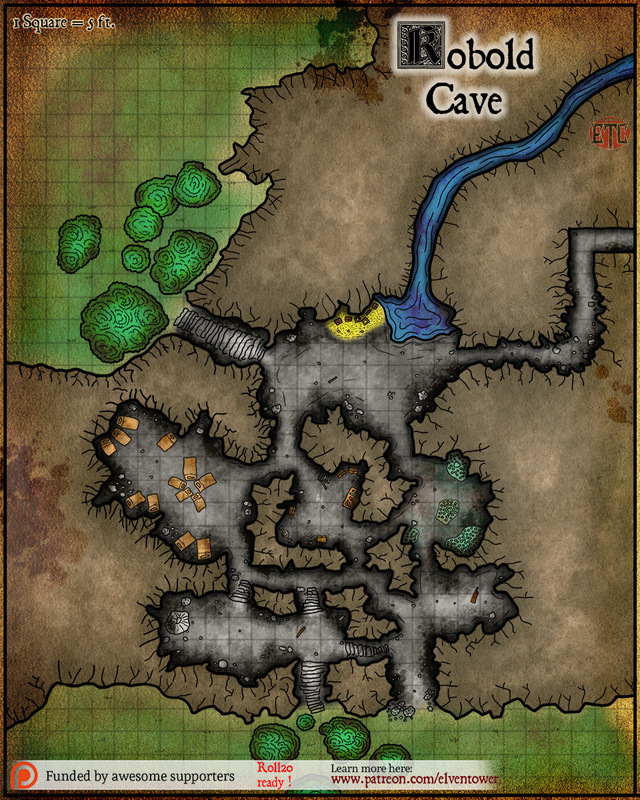 Roll20 Ready – This map is available in full resolution at my Patreon site. 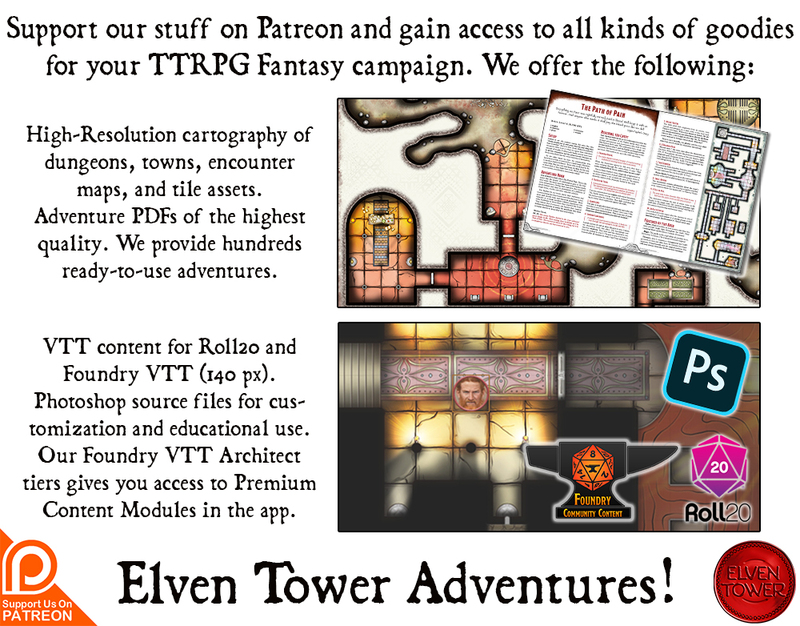 The illustration is Roll20 compatible and ready to be dropped into any ongoing campaign. Know also that all my encounter maps are roll20 compatible as of June 2017.